A person who buys goods and services from a store or business is considered as a customer. However, a client is a person who receives services from professionals. 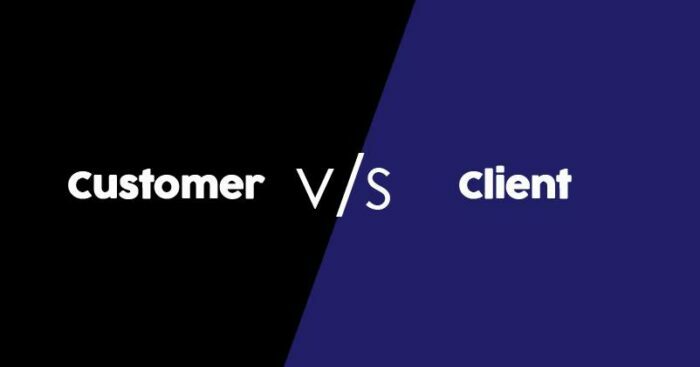 There is a slight difference between a customer and a client however the end result is the same, both customers and clients provide profit to the organization. Various businesses such as retail stores, supermarkets, banks and service stations regard their patrons as customers. Customers are repeat patrons or one-time customers. Customers need a fixed form of goods and services that are provided by a fixed amount. When people need personalization and customization in the products or services being provided they are considered as clients and with time more closer professional relationships are built with clients. The customers are not always the end user or consumer. Sometimes a customer buys a product and gives it to his/her friend or relative in the form of gift and thus the receiver becomes the end user or consumer. While advertising in order to attract customers they focus on price and value and also emphasizes quality and effectiveness. Such types of businesses want their customers to order online, shop at their locations or eat at their locations. Client based businesses focus on the company’s experience in handling various problems that are similar to the prospective client. For instance, a law firm while advertising will mention that from how many years they’ve been in the business and also about their ability in getting the results on the client’s behalf. Client based businesses while advertising tries to convince clients to hire them and not others and also to refer them to others. 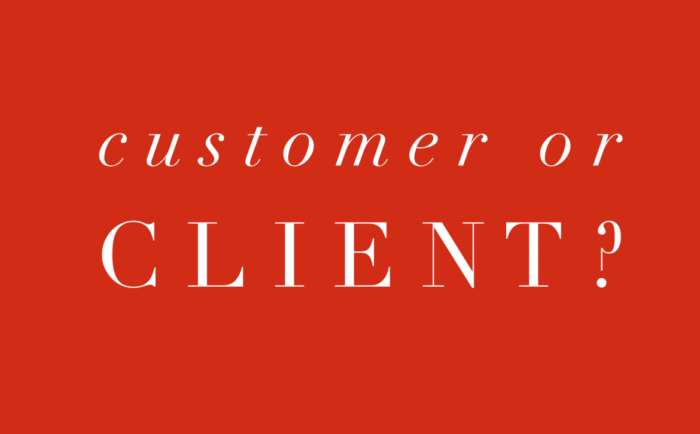 How to turn Costumers into Clients? Though there is a difference between a customer and a client there are ways through which companies of all kinds can turn their customers into their clients. With the help of smartphone technology, companies can develop customer loyalty through innovative reward programs that become more personalized to each customer. Through direct contact and regular feedback, companies can use the suggestions of their customers to customize them into special products and services catered to individual customer’s needs. Standing out of the box and thinking ahead of the competition can gain companies long-term relationships that transform a Costumer into a Client.